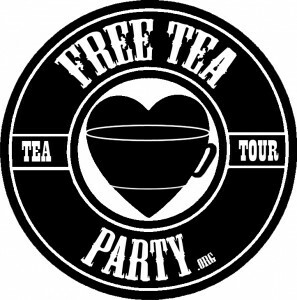 Almost 10 years on the road, 9 years of free tea, 7 years of Edna, 2 years of the North American Tour. …but, we’re not done yet! And that’s exactly why we phrased this journey as a two or more year tour. In the past two years, we’ve only visited 7 states (WA, OR, CA, NV, AZ, NM, TX), so inevitably, our journey continues. And I’m happy about that! I’ve put in many years of time and energy to create a lifestyle that’s nomadic, low-monetary input, low-environmental impact, creates positive social change, and makes me and many others happy. So, why stop now? I’m not sure how long this tour will last, but it goes on for now. I guess the main reason that our tour has been so slow is because we really like to take the time to do things right, to dig in to communities, to allow for flexibility in our plans, and to do things that help us continue this lifestyle. – Serving tea at the Procession of the Species Parade in Olympia, WA. – Serving tea at 7,000 feet in the Sierra Mountains on the Pacific Crest Trail to through hikers. – Making tea at a Portland, OR fire station for all the fire fighters. – Helping revive and serve alongside the only other mobile free tea house we’ve ever heard of, the T-Horse, at the Village Building Convergence in Portland, OR. – Serving tea without permission on Reed College campus, and getting invited back by the head of security. – Making tea at several Free Herbalism Projects in Eugene, OR with Mountain Rose Herbs, where we served our 20,000th cuppa free tea. – Serving tea on Hollywood Blvd. – where it all started 9 years ago. – Tea at the Tera Vita Herbal Symposium. – Making tea with free Yoga on the Bluff in Long Beach, CA. – Making tea at Soka College for their Garden Party. – Serving tea alongside The Herb Bus at The Ecology Center in Orange County. – Making a tea zone at the Herb Folk Gathering at Mormon Lake, AZ. – Getting our first health permit for the Texas Tea Festival, which made us rethink parts of our moral framework. – Working with the Shook Twins at Bear Creek Studio shooting some video and taking photos. – Taking a WFR course with MASHH geared for herbalists, activists, and homesteaders in Orleans, CA. – Hanging with Common Vision in Los Angeles, planting fruit trees, and making them a couple videos. 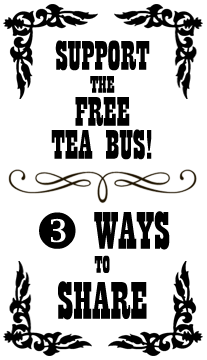 – Making videos with Earthroots Field School in Orange County, CA. – Working on bus projects (garden/door, Gift & Take area, curtains, rebuilding the wood stove, installing the inverter, rebuilding the oil cooler, and much, much more.). – Guest lecturing at Saddleback College in Orange County, CA. – Deconstructing an old farmhouse in order to salvage the wood in Taylor, TX. 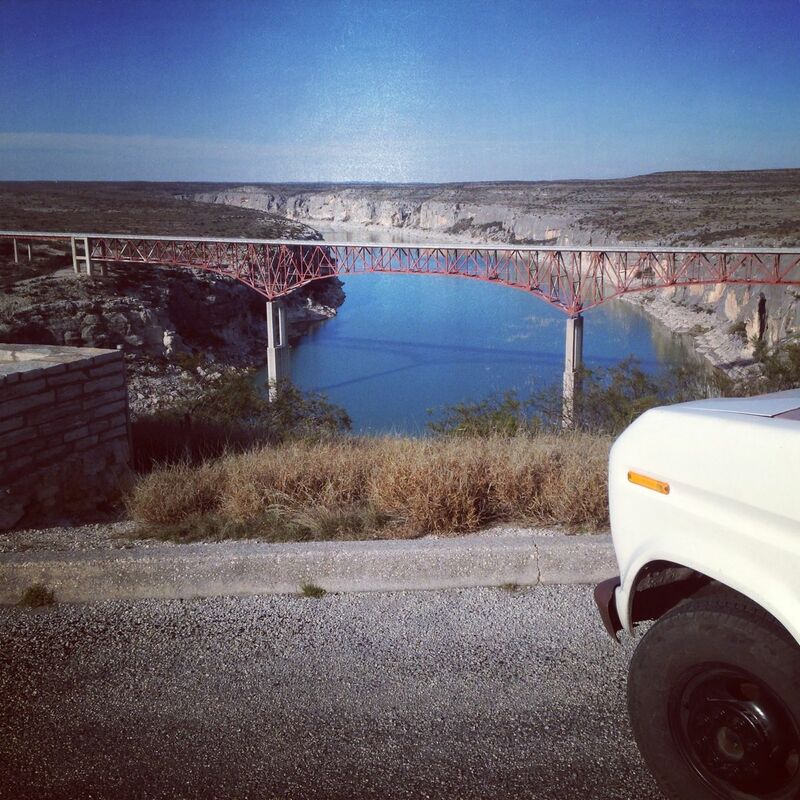 Edna overlooks the Pecos River. 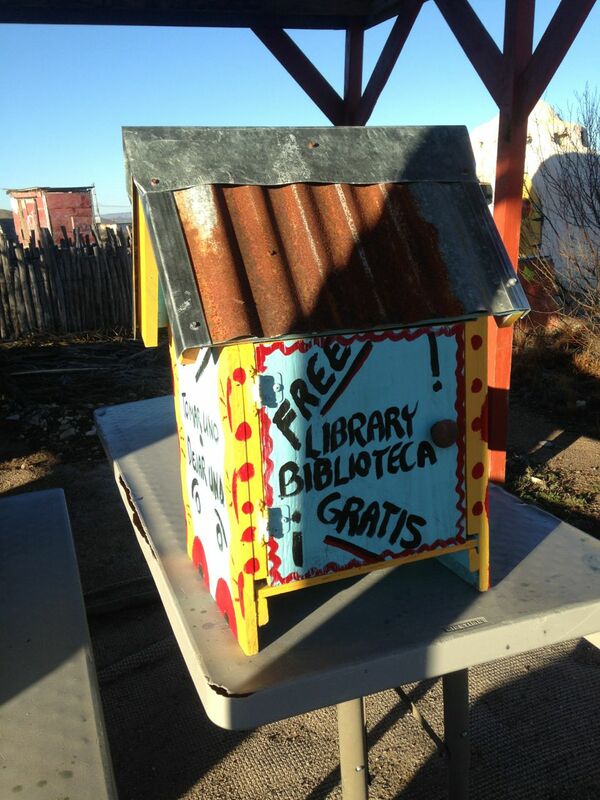 The little free library at La Loma Hostel in Marathon, TX. Before coming to Austin, we spent a wonderful week traveling from Terlingua across Texas. We stayed in Alpine, where we were invited to serve tea in the heart of town in a parking lot by the Alpine mural, as well as with the kids at the Alpine Montessori School. 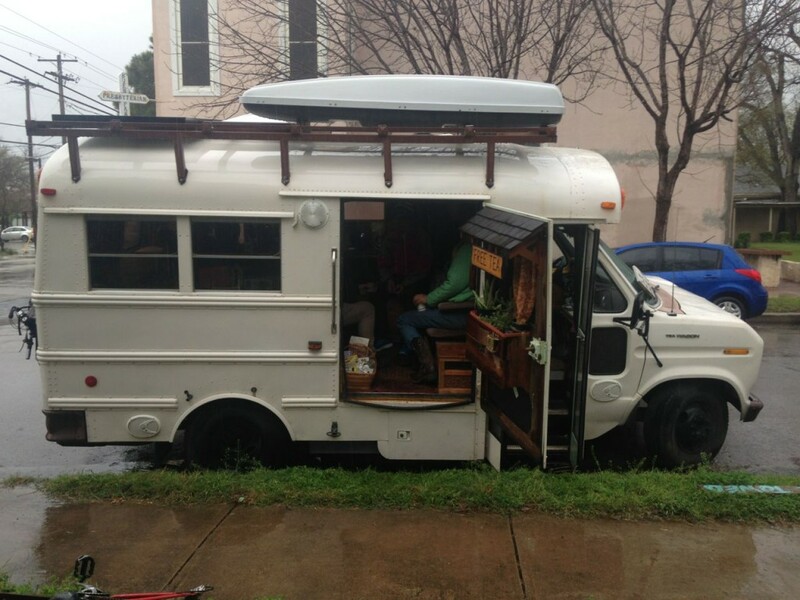 In Marathon, we met more traveling folks who live in an amazing converted step van and travel around playing music. Also in Marathon, we friended folks at the local papercrete hostel, La Loma del Chivo. We had tea and good conversations. We stopped at the bar/barbershop/house/courthouse/etc of Roy Bean in Langtry, TX, and finally landed in Austin in time to get our health permit for the Texas Tea Festival. The kitchen and campfire area at La Loma Hostel in Marathon, TX. For the past month and a half, we’ve been hanging in Austin. We came here originally to have some winter time, with much writing and reading, but Edna has been a little cranky with how hard we were traveling through Fall and Winter, and most of my free time has been dedicated to bus maintenance and projects. Along with all this, we’ve been serving tea at places like the Texas Tea Festival, SXSW, GayBiGayGay, HonkTX, The Center for Maximum Potential Building Systems, and more. On March 20th (the day that I bought Edna 7 years ago, as well as the start date of our North American Tea Tour), we hosted a birthday tea party at some friends’ place in east Austin. It was a good blend of friends and newbies. 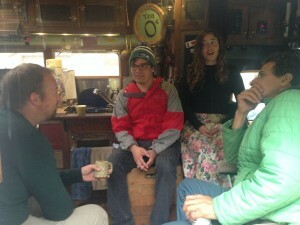 We drank tea all afternoon, and the teabus provided some shelter for passersby from the intermittent rain that was falling. 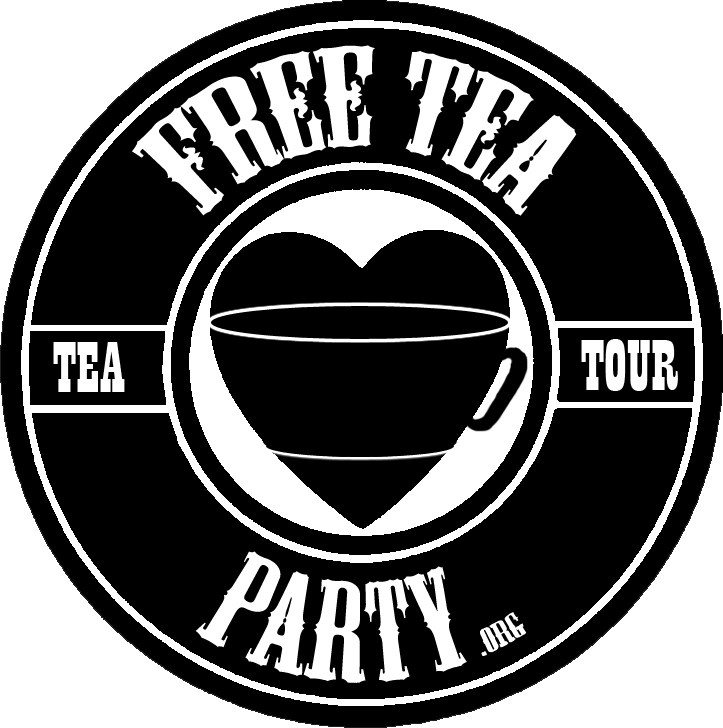 I invite you to continue to share in this journey with the tea bus by signing up for our regional tea-mail list, having tea with us when we’re in your town, friending or following Edna Lu The-Teabus on Facebook, or by checking out our Support page for ways to help us out. We’d love to hear from you! An enormous thanks to John and Katie in Alpine, TX for hosting us several times; to Shade for having us around his place; to Frank Meyer for being an elder and host; to Lori in Alpine; to the Alpine Montessori School; to Heather for tea, friendship and a Giuseppe mug; to George for being a fellow builder and brother; to Chaz for friendship and a place to park; to So Han for having us serve free tea at his tea house; to Bob for being a friend and offering mechanical advice; to all the people who live at the Stick Farm for being a family for us; and to all our wonderful tea guests. No thanks to Border Patrol who continually want to search Edna. 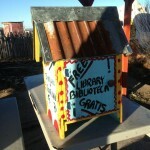 Thanks for the support, community! This entry was posted in Events, Journeys, News, Video and tagged Alpine, Austin, AZ, CA, Center for Maximum Potential Building Systems, Edna, La Loma del Chivo, Langtry, Marathon, NM, North American Tea Tour, North American Tour, NV, OR, TX, video, WA. Bookmark the permalink.